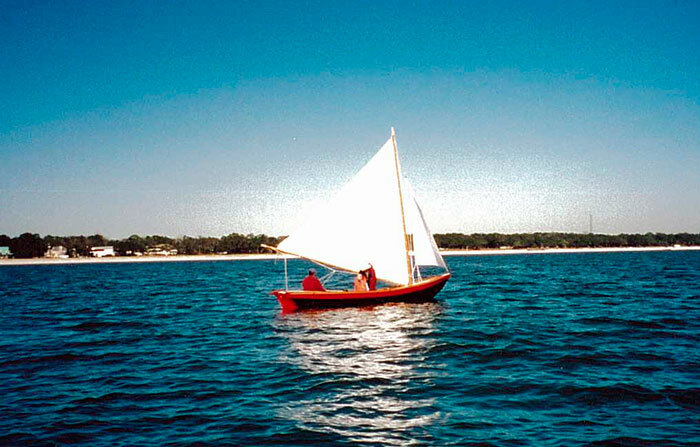 Rod's daughter Emma Grace Rishel co-owns this Alpha Dory with her dad. He build it using natural crook live oak frames, planking from a Douglas-fir log in Long Beach, Mississippi. The coamings, wales, and rails are from reclaimed longleaf yellow pine. Everything is fastened with copper rivets.